Best Tarot Practices is a comprehensive approach to teaching everything you need to know to read the cards for personal insight and spiritual growth, for yourself and others. Using a method that blends modern questions and answers with innovative exercises and encourages intuition, Masino empowers the reader to find their own private connection with each of the cards, fostering a lasting and deeply personal relationship with the characters and symbols within the deck. Unlike many other beginning tarot books, Best Tarot Practices focuses not just on how to read the cards, but also on how to become a successful tarot reader�including how to handle difficult questions and messages in a reading, how to deal with needy, greedy, or superstitious seekers, and how to make each reading accurate and personal for the seeker. 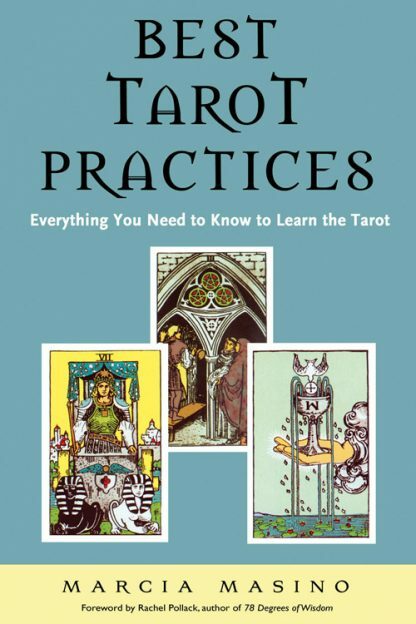 Best Tarot Practices offers a step-by-step approach to understanding the tarot, from the four suits and the court cards to the Major Arcana to learning new spreads that offer guidance in becoming your own tarot master. Best Tarot Practices teaches readers how to trust what they already know and how to share that knowledge by reading the cards for others.